The Lost Music Project is still under construction, but Harrie Berkhout has changed the name of the project in The Fellowship of Friends of Completely Forgotten Artists. The first issue will still be some unknown 78’s from Dutch violinists, but in stead of a CD it will be released as a 10 inch record. 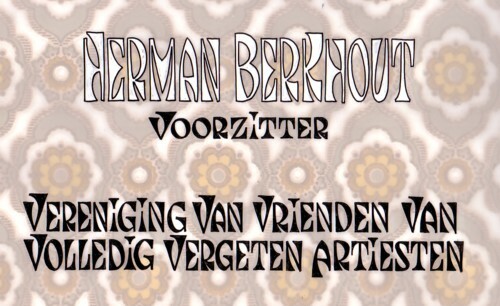 Herman Berkhout started the project to release some unknown 78rpm records in his incredible collection, but he wants to do something with other forgotten artist too. Writers, painters, whatever, as long as they are forgotten and lived before WW2. I will keep you informed! 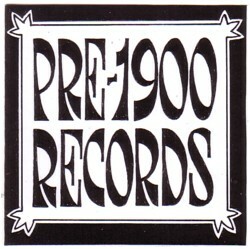 On the first 10 inch there will be two songs that Flesch recorded in 1905. Flesch was a reknowned violist and he owned a Stardivarius violin, but the sound of that instrument was too soft to be recorded by the crude equipment used in 1905. So Flesch had to use a steel violin. These recording violins were build by Augustus Stroh. I am not a violinist, but based on how the thing looks, I imagine it must be very much like asking a runner to do a marathon on clogs. I like to read and think about the early days of sound recording. 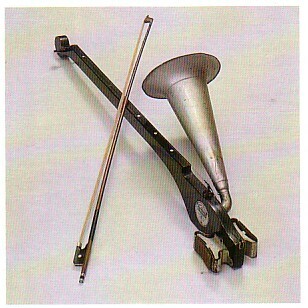 The idea that the invention of the technique to record sound is made only as late as 1887, while much more complex instruments were already made for centuries, is mind boggling. The question is how many people, who lived during he early days of sound recording, were aware of the impact this invention would have on the world. Probably not much. 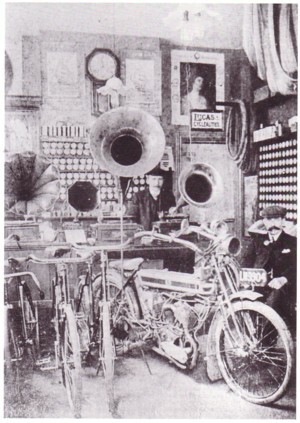 I have a beautiful picture of a shop where the first record players were sold. For mysterious reasons this were mainly shops that sold bicycles. It does not look as if this was the hottest thing on the planet in 1900! Most of the music on the very early records is not really my taste. But John Koemans once gave me a CD with about hundred (!) pre 1900 recordings that I love to listen to. Not for the music, but for the time travel effect. As long there are no time travel agencies, these records are one of the rare ways to get a realistic glimpse of the past. Here is a zipfile of some pre-1900 recordings that i find the most interesting. Here is one of the earliest recordings from that collection: Florence Nightingale with a few words about a house party. From 1890 ! Damn, this is a good blog!